She is finally here! Forever Eileen. The blanket that I will forever be most proud of as it is a blend of my Grannie and I.
I made this with Knit Picks comfy sport which is a beautiful soft pima cotton. You can make it in anythign though that needs a 4mm hook. 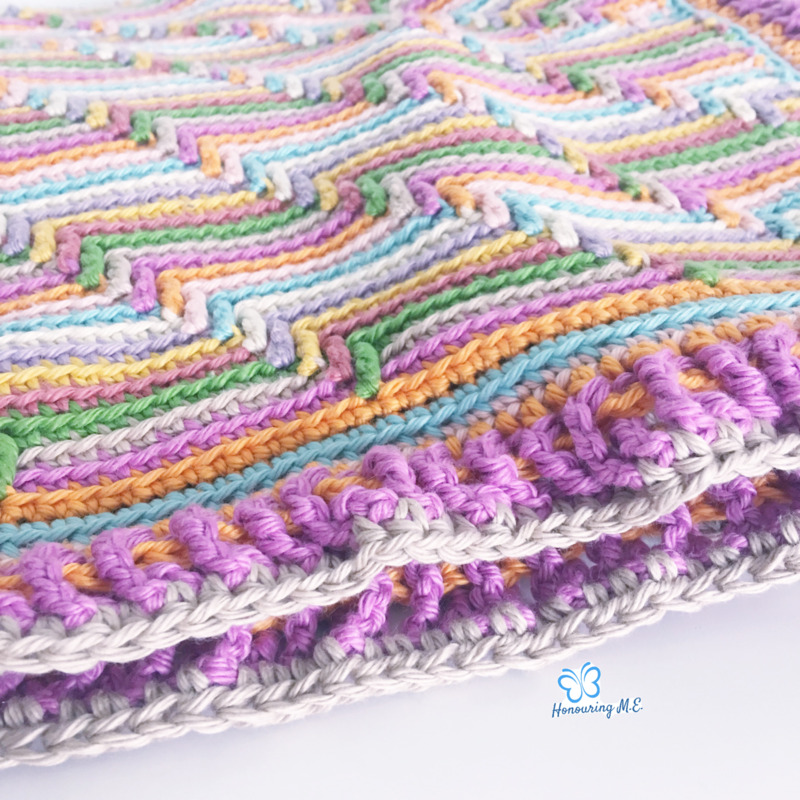 This pattern is written in US and UK terms and contains a photo tutorial of the DROP TREBLE stitch that gives the blanket that amazing effect. This is a beginner to intermediate pattern. Stitches (US terms) are the drop treble and sc in the front loop only. The border uses a double crochet and half daouble crochet as well as a front and back post double trebles. Instructions are included for these last two stitches and a tutorial for them will be out soon.